John Mankowski has been immersed in natural resource policy issues in the Pacific Northwest for the past 25 years.Prior to accepting this position he served for 5 years as Governor Gregoire’s principle advisor on natural resources and environmental issues.His portfolio included fish and wildlife conservation; agriculture production and conservation; forest policy on federal, state and private lands; outdoor recreation; renewable energy development; water quality; growth management; and tribal engagement. Before working for the Governor, John worked for the Washington Department of Fish and Wildlife for 20 years in a biologist, manager, and environmental policy expert.He also served in a variety of science and management positions for state and federal natural resource agencies in Idaho, Alaska and Arizona before moving to Washington. John’s passion for the Pacific Northwest extends into his personal life too where he, his wife and two children enjoy fishing, hunting, clam digging, and hiking.He does NOT, however, enjoy the constant rain.Being raised in the desert southwest, the feels the need to reacquaint himself with the sun every now and then. Mary Mahaffy has over 25 years of experience working in the Pacific Northwest on natural resource management, conservation and policy issues. 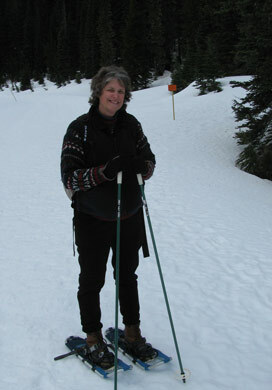 She has been actively involved with the North Pacific Landscape Conservation Cooperative since its initiation in April 2010 and began serving full-time as NPLCC Science Coordinator in September 2011. Mary began working with U.S. Fish and Wildlife Service's Washington Fish and Wildlife Office in 1991, where she has worked as a biologist and manager on interagency efforts to protect and restore Puget Sound. Her areas of expertise include habitat restoration, environmental contaminants, invasive species and outreach and education. Mary began her federal career in 1982 with the Peace Corps in Niger. She holds a master’s degree in Wildlife Ecology and a bachelor's degree in Life Sciences. 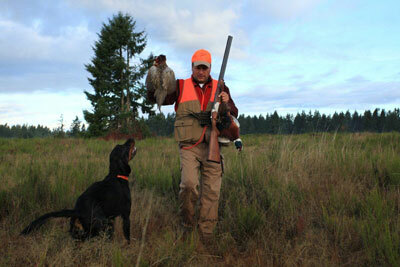 In her free time, Mary enjoys exploring the outdoors hiking, camping, birding, fishing and crafts. Tom Miewald is a Landscape Ecologist with the US Fish and Wildlife Service and specializes in mapping and modeling spatial aspects of fish and wildlife for applied conservation planning. Currently, Mr. Miewald's focus with the NPLCC is on data management and coordinating on GIS issues. Tom also works for the Pacific Region National Wildlife Refuge program, focusing on landscape scale conservation design. Prior to working for the USFWS, Tom was a Conservation Planner for the Wild Salmon Center, helping to prioritize salmon conservation actions across the North Pacific, including Russia and Japan. Tom has also been a Project Manager and Lead Analyst for several large federal vegetation and land cover mapping projects, including the USGS GAP program, NOAA Coastal Change Analysis Program, and the USGS National Land Cover Dataset. Mr. Miewald has also worked two years in Cameroon, both as an Agroforestry extension volunteer and he developed a GIS facility. 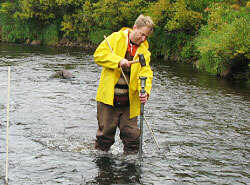 Mr. Miewald has a master's degree in Geography and a Bachelors in Environmental Studies from the University of Nebraska. Meghan Kearney is the Communication Specialist for the NPLCC. Meghan received her B.A. in Mass Media Studies from Florida State University in 2008 and her M.A. in Communication from Portland State University in 2013. She has been with the U.S. 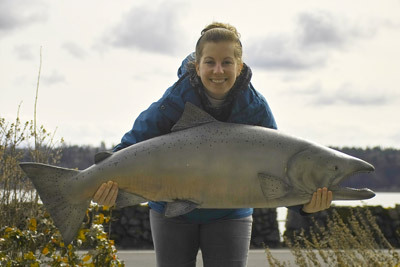 Fish & Wildlife Service since 2011 where she began as an intern in the Fishery Resources program. In 2012 she transitioned to the Pacific Region's Connecting People with Nature Team where she helped provide coverage of projects and events from around the Pacific Region, helped implement strategies to reach underserved audiences, and assisted various USFWS programs with communication needs. She relocated the Pacific Northwest in 2009 from Florida in pursuit of a more naturally and culturally dynamic place. During her time here she has developed a passion for science, wildlife and conservation, striving to share the efforts of the NPLCC, USFWS and all of our partners. Meghan says she plans to do whatever it takes to stay in the great Pacific Northwest indefinitely.